It looks like we were blind-sided a little by the iPad 3 events, because Apple had something more for us, like the latest iteration of Apple TV 2012, which looks and acts exactly like the previous model. That difference is its support for native 1080p video, as streamed from iTunes, over the Internet, or via AirPlay from a third-generation iPad. 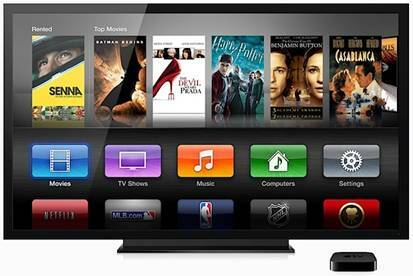 Yeah, you can stream 1080p HD movies and TV shows your buy on the iTunes store for enjoying on your 65-inch HDTV. 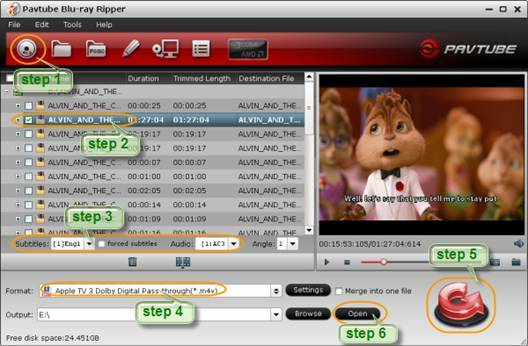 With proper Blu-ray ripper software, you can even back up Blu-ray Discs and DVDs into Apple TV 3 optimized HD videos without much quality loss. If you’d like to stream Blu-ray and DVD collections to new Apple TV 3, Pavtube Blu-ray Ripper should be your best choice. Pavtube Blu-ray Ripper comes up with new Apple TV 3 1080p preset in its latest update, letting you convert Blu-ray to Full HD 1080p M4V video that looks even sharper than iTunes store 1080p movies. Better off, the new preset exports HD video with 2 audio tracks- both Dolby Digital 5.1 and AAC stereo audio will be retained, so that Apple TV could pass-through Dolby Digital to A/V receiver for reproduction of surround sound, and export AAC stereo when going without surround sound system. This article aims to guide you through Blu-ray to Apple TV 3 conversion. 1. Ensure that you’ve had an internal or external Blu-ray Disc drive installed properly. 3. Keep your computer networked. Step 1. Run the Blu-ray Ripper. Press “Load Disc” icon to import Blu-ray movie. Choose “File>Load from ISO/IFO” if you’d like to import Blu-ray ISO image file. Step 2. Select main movie from file list. By default the main movie is checked exclusively. Other titles are extras and commercials, just leave them unchecked. Step 3. Set subtitles and audio language for the main movie. Step 4. Press on the “Format” bar, choose “Apple TV>> Apple TV 3 Dolby Digital Pass-through (*.m4v)”. If you are staying with the 2nd gen black Apple TV, the “Apple TV 2 Dolby Digital Pass-through (*.m4v)” preset works best for you. Step 5. Press “Convert” to get Blu-ray Ripper start ripping Blu-ray to Apple TV 3 optimized 1080p video. Step 6. Wait till conversion completes. To improve speed, you are suggested to run the Blu-ray Ripper on a faster computer or take advantage of GPU acceleration (press the CUDA/AMD button to turn on or turn off GPU encoding). Press “Open” to find ripped movie. You can then add the ripped Blu-ray movie (.m4v video) into iTunes movie library. Open up iTunes and follow “File>> Add file to Library…” to sync video to iTunes. To sync, play and stream 1080p contents, iTunes 10.6 or later version is required. For more information about how to stream 1080p videos to Apple TV 3 and connections for the Apple TV to pass-through AC-3 5.1 audio, please check Setting up Apple TV for Dolby Digital 5.1 pass-through. 1. Does the Blu-ray rip play silence or gray screen in iTunes? 2. Does the Apple TV 3 Dolby Digital Pass-through 1920x1080 (*.m4v) preset work with iPad? How to Convert HD TiVo/M2TS to 1080p MP4 for Apple TV 3? 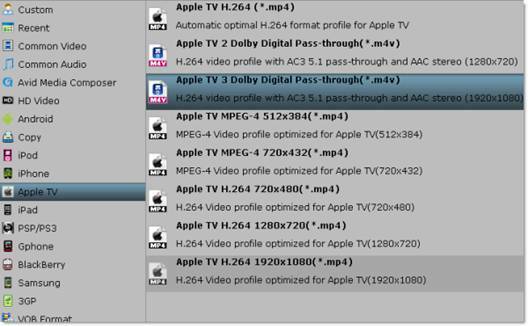 How to Convert Videos for Playback on Apple TV? 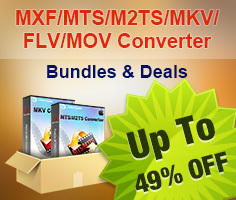 How to convert Blu-ray to Apple TV with 5.1 surround sound on Mac?